miniature sewing machine - Lake. 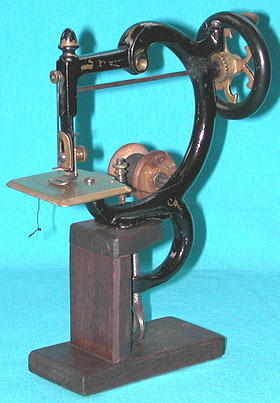 Designed by Jennie L. Lake in 1870, the photo illustrates a miniature hooked needle machine. It was just one of several similar designs produced in the USA at this time.